Kate_meistre shares this picture of landed a boneless this weekend. 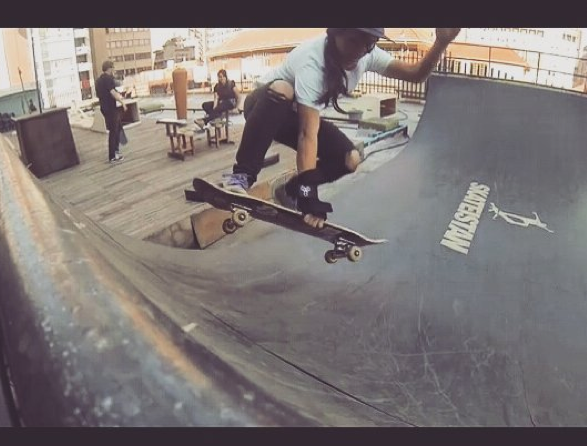 She also works with other girls on a Face Book page to encourage girls skateboarding – it’s called Girls Can Skate – South Africa. Skateboarding is rad – sharing skateboarding is incredible. Thanks Kate for keeping it stylish on & off the board by encouraging girls to believe they can skate too. I do believe you can choose to be happy where ever you are. Just like you can be grateful for what you have or sad about what you don’t have. 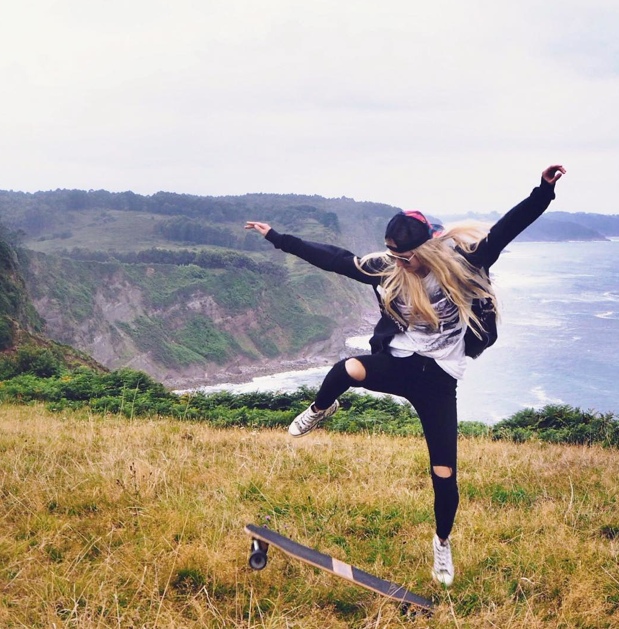 I’m loving this picture from natali_kot – she’s a model, blogger, youtuber, dancer, and traveller who loves life. I love her ollie and it’s got to be one of the most beautiful skate pictures I’ve ever seen. The background is incredible. She is Happy on a Hill. To see more of how natali keeps it stylish on & off the board check out The Nattiness.